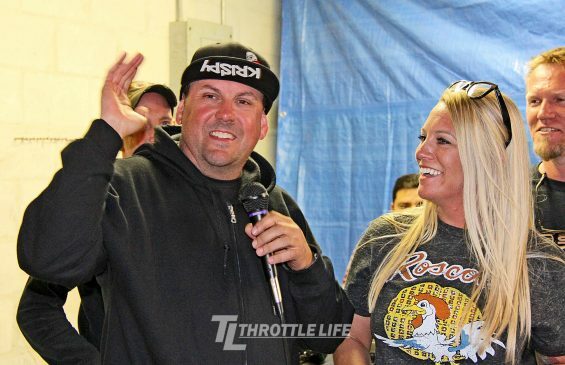 Kory Souza 1st Annual | Throttle Life! 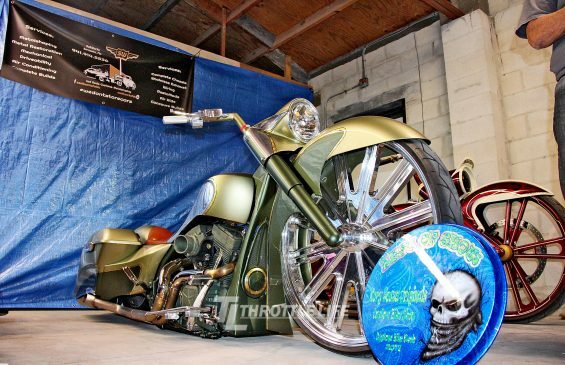 New to the Daytona custom bike show scene was the Kory Souza 1st Annual “No Class” Custom bike show. Other shows may have been bigger in terms of size or held in locations typically associated with bike shows, but they lacked a critical element found at the No Class show, a chilled, relaxed fun atmosphere within an unassuming garage with the same cool come-as-you-are vibe both inside and outside. As stated on the events promo page: No classes. No politics. Just a good time. To help live up to this, Kory and the team brought in experts from different industries and backgrounds for balanced unbiased judging with the show open to all bikes regardless of level of customization. I was even encouraged to bring out Throttle Life’s stealthy Blaque Betty custom R1 still Gorilla taped together from an earlier “incident” but didn’t want to lower the quality of the show. Turns out, it would’ve been accepted furthering living up to the No Class namesake. 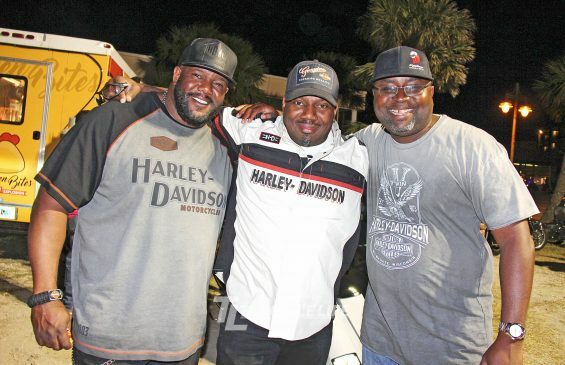 The show featured cash prizes, custom trophies, a liquor and beer cash bar, food truck and live DJ which with all the award-winning baggers in the house taking turns showcasing their power to move the crowd, the DJ had an easy night. 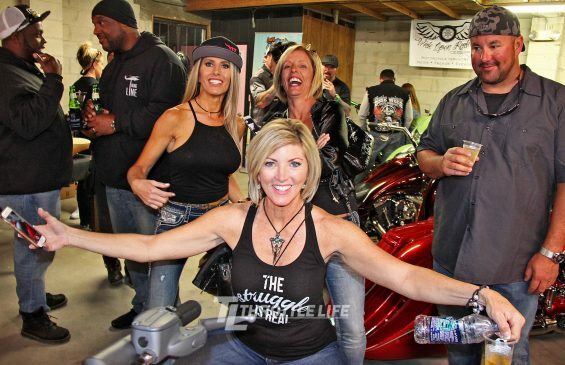 Although the show was promoted as No Class, the classy part of the show was the $20 donation for registration which went to Bikers Against Bullies USA for The Ride to Sturgis and Big Brother Big Sisters-Suncoast Chapter. Sure, the show may have included a blue plastic tarp as the part of the backdrop, but that just helped to prove the point you don’t need an elaborate background and scenery to make an event work. Kory and his team made the best of it and made it do what it do and it did what it did with great results. 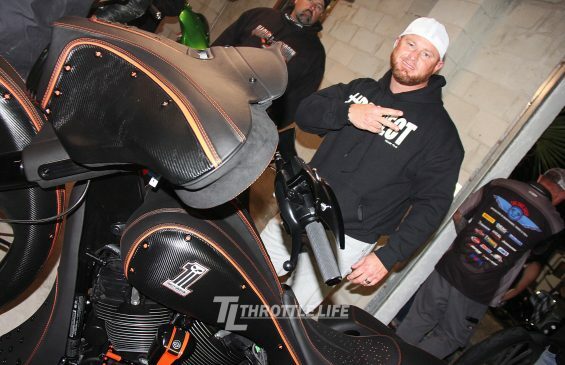 Big props to 3rd place winner Aaron David of Big Wheel Bagger, 2nd place winner After Hours Bikes, 1st place winner Woodlawn Baggers and Best of Show to Da Performance Baggers.